17. 02. 2019 13:36 19 (10 - Latvala Jari-Matti / Anttila Miikka): It's getting very difficult. On the last part here there was lots of snow and slush. Very difficult to drive. I'm not sure if the road is getting better or worse. 17. 02. 2019 13:28 18 (10 - Latvala Jari-Matti / Anttila Miikka): A good feeling here and we'll try and keep that for the Power Stage too. I had to be careful not to destroy the studs in my tyres. 17. 02. 2019 13:20 17 (10 - Latvala Jari-Matti / Anttila Miikka): Perfect conditions. Absolutely fantastic for me and the car. A great feeling. Thanks to my engineer who made changes to the centre differential. I'm much more confident. 17. 02. 2019 04:23 15 (10 - Latvala Jari-Matti / Anttila Miikka): So much water on the stage which makes it very difficult. When you hit it, the car is aquaplaning. For the spectators it's great, I think. 17. 02. 2019 04:16 14 (10 - Latvala Jari-Matti / Anttila Miikka): I had nothing to lose. I decided to push to see how I could go. It didnlt work out. I should have accepted that the lines are very narrow. 17. 02. 2019 03:58 12 (10 - Latvala Jari-Matti / Anttila Miikka): It was difficult, I can tell you. I can understand what Ogier meant. The line was very narrow. Just left-foot braking and keeping it on the road. 17. 02. 2019 03:47 11 (10 - Latvala Jari-Matti / Anttila Miikka): It's been really nice, great conditions. A good start in SS9 a small mistake in SS10. Here it started to come good but we lost time to Seb somewhere. 17. 02. 2019 03:32 9 (10 - Latvala Jari-Matti / Anttila Miikka): It's a great stage with good memories for me from my win in 2008. The first few kilometres were frozen gravel and hard on the tyres, after that lots of ice - very nice. 17. 02. 2019 03:16 8 (10 - Latvala Jari-Matti / Anttila Miikka): Overall a great day, the fight was getting harder and I knew I had to fight back. But in these conditions I was pushing too much for the tyres I had. That's the mistake I made. I tried to get out as soon as possible but once you are stuck it's hard. There were only a couple of spectators around to help. If there were five or six people we would have been out in 20 seconds. We have retired now. I'll be back tomorrow. 15. 02. 2019 17:10 7 (10 - Latvala Jari-Matti / Anttila Miikka): I tried to do what I could. Not so much I could have done better. This stage was hard with the gravel. We had a good run, I'm happy. 15. 02. 2019 15:52 6 (10 - Latvala Jari-Matti / Anttila Miikka): It's been ok. On this stage I took it a bit carefully. I didn't have the best feeling at the rear so I backed off a bit. It's ok, I'm happy with the time. 15. 02. 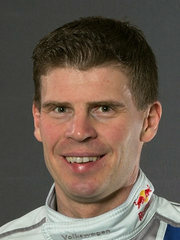 2019 14:28 5 (10 - Latvala Jari-Matti / Anttila Miikka): An interesting stage. Very high grip in some places, slushy in others. That wasn't maximum attack but I had a clean run. Let's see what Teemu can do. 15. 02. 2019 10:29 4 (10 - Latvala Jari-Matti / Anttila Miikka): A good stage. Really sweet conditions - beautiful. You can see that the ice is breaking up a little for the afternoon but we hope for the best. 15. 02. 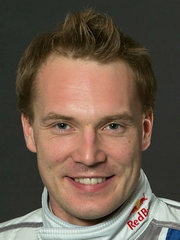 2019 10:04 3 (10 - Latvala Jari-Matti / Anttila Miikka): A better rhythm. Still too aggressive in a couple of places but generally good. 15. 02. 2019 09:50 2 (10 - Latvala Jari-Matti / Anttila Miikka): The feeling was good. I'm really happy to drive here. I was too aggressive in a couple of places but otherwise all good. 14. 02. 2019 21:06 1 (10 - Latvala Jari-Matti / Anttila Miikka): Now I can relax. I can start my rally. There was a bit of pressure to get through this stage. Now we can focus on the real action.